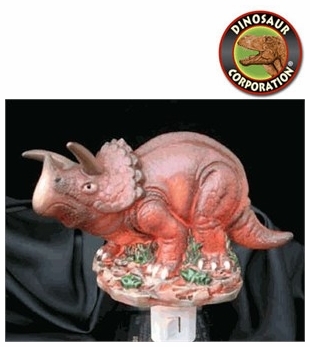 Porcelain Triceratops night light for your kids bedroom. This night light includes 5 watt bulb and swivel plug. It is a perfect way to increase safety in your kids dinosaur bedroom.